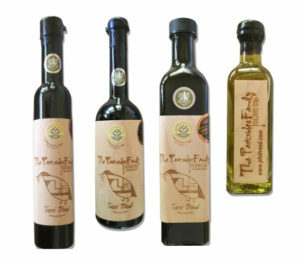 The Central Coast is home to a number of world-class olive oil farms. Many are sustainable in practice, biodynamic, and solar powered. Here are a few for you to read about, visit and enjoy! Kiler Ridge Olive Farm is just minutes from downtown Paso Robles. This 58-acre family farm enjoys a mild central coast climate. Sustainable farming practices, straw-bale barn, and fully solar-powered. At Figueroa Farms, olives are harvested by hand and brought to the mill immediately, where they are crushed without delay, using a "cold extraction" method. Using a local, state-of-the-art olive mill, Olio Nuevo fruit is custom milled within hours of picking. We hand-pick our fruit to maintain the highest quality possible and match the size of our crew to the small, half-ton per hour capacity of the mill. Olio Nuevo is cold-pressed, unfiltered, and certified as an EVOO annually by the California Olive Oil Council. 100% solar powered. 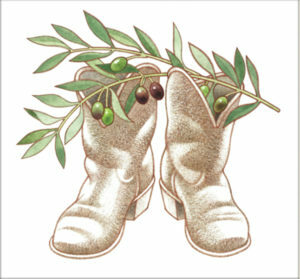 We Olive was founded on the principle of supporting small, artisan olive growers. At each of our 14 (and counting) tasting bars, you can experience hand-crafted California olive oils and learn the stories of the growers themselves. While reading about it will never match the sensory experience of tasting with experts, we hope you’ll be inspired to try what we think are some of the best of this year’s crop! Taggiasca olive has become one of the most sought after olive oils because of its distinctive characteristics. We feel privileged to be growing it here in Paso Robles, CA and we plan to press these olives separately for an exclusive bottling when in full production.